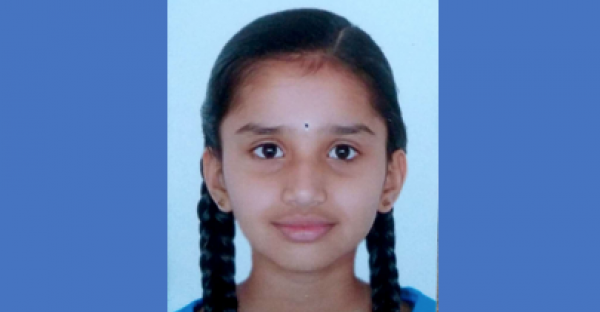 We thus want to share with you a special story from a 12 year-old girl, Ms. Srividya V Prasad from India. Unfortunately she is too young to join the contest officially. But it didn’t stop her parents from sending her request and idea to us. We were very surprised and pleased to receive such an unexpected entry. It shows how climate change is a relevant topic for much younger generations and how much they are aware of current situations! In the description of her idea, she stated her worry on increasing temperatures in Bangalore, from an average 25-28 degrees in the past to as high as 42-45 degrees now. The air in Bangalore is also dangerously dirtied by pollution. She thinks one of the major causes is the growing traffic and dramatically increased CO emission from a large amount of cars in the city. Though there are laws, enforcement of these laws is a basic problem which can be solved by technology to a certain extent. Based on this, she proposes to install CO sensors or detectors at toll gates (for example as in the figure) and major traffic junctions to monitor CO emission from all the vehicles that pass by. As the senor detects the vehicle with unusual CO emission, the camera should be triggered and the data should be recorded in the computer. The recorded vehicles should take necessary measures to reduce CO emissions. In addition, she suggests to apply the same approach to industries and companies that generate lots of carbon emissions. While reading her idea, we cannot help ask ourselves, isn’t this a situation that is happening in many parts of world every single day? Isn’t this girl suggesting something that should be done almost everywhere already? Then why we didn’t implement them or implement them widely? What stopped us? Technology readiness? Economic factors? Regulations? Politics?... No! None of those should become to be an obstacle. Looking around, looking at our current world, we don’t have many choices! Through a 12 year-old girl’s eyes, we see not only worries but also wishes. In her eyes, there is no limitation and no boundary to solve the problem. It is neither about economics nor about politics. It is only about doing what must be done! At the moment, we are facing unprecedented global challenges in fighting climate change and building a sustainable future. We need this kind of youthful spirit: fearless and limitless, thoughtful and wishful. It will help us go beyond boundaries and enable positive changes even under the most difficult circumstances! We know she is not alone. Many many of you want to and CAN help make this world a better place and make our future generations proud. We need your help! So, please, join her and join us! To contribute your ideas and participate in the dialogues on how we can build a sustainable future together! Remember, every big change starts with a small step! Be fearless and limitless!